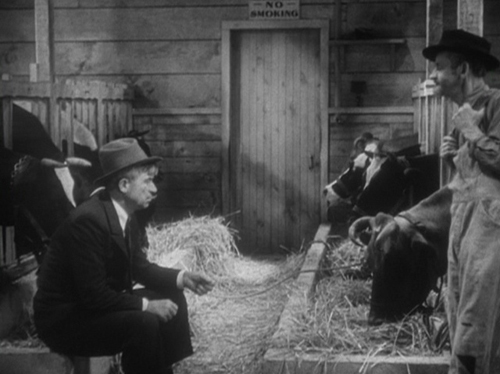 Now he's gonna talk to a cow: Rogers in Doctor Bull, Ford, 1933. We see Will Rogers' inheritors everywhere. Chris Rock has got a bit of Rogers in him. So does Rush Limbaugh. Any comic or putatively comic figure who comes bearing a kind of plain-spokenness, along with the unspoken claim that he or she is the only one around who's got the plain common sense, or courage, to give things to you straight, is an heir to Rogers, the Oklahoma-born vaudevillian whose early career as a monologist was structured around his claim "All I know is what I read in the papers." Hence, Leno, Letterman, The Daily Show. For all his influence, it's still not surprising that Rogers seems a quaint figure these days—none of the monologists cited above can claim to have been discovered doing rodeo stunts. Rogers' fame as a plain talker notwithstanding, his silent films—which highlighted his riding and roping skills—actually outnumber his sound films almost three to one. This is largely attributable to his sudden death in an airplane crash in '35, at the age of 55. The recent Fox DVD box set Murnau, Borzage and Fox features Rogers' first sound film, directed by Frank Borzage, 1929's They Had To See Paris. In a way the picture sticks out like a sore thumb among the other Borzage pictures in the set. For one thing, it is, as one would expect from a Rogers vehicle but not a Borzage picture, a comedy. 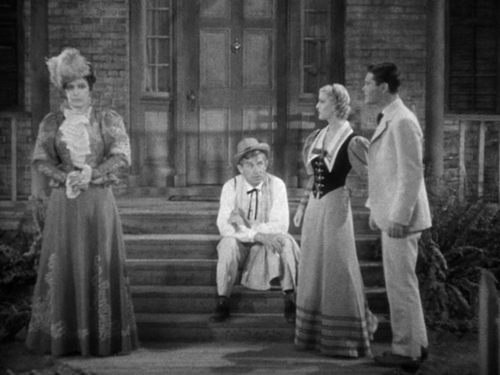 For another thing, it is, unlike Borzage's silents, quite stolidly, stagily shot. Not even any small "e" expressionism here, on the visual side. Oddly enough, though, in Herve Dumont's superb biography of Borzage, we learn that Borzage "never enjoyed making a picture as much before" as he did Paris. This likely has more to do with Borzage the man than Borzage the artist; as Dumont reports, Borzage and Rogers were members of the same aviation club and the same polo team. While insisting the film is in sync with the larger Borzage oeuvre on account of its "improvis[ation] on a favorite theme: of 'appearance vs. reality,'" Dumont allows that the "project was more of an experience than an artistic challenge." The experience was a kind of experiment—to see if the talking Rogers could "play" on film. He did, all the while ignoring the placement of the microphones, performing in the free-wheeling, mostly-self-blocking style he used on stage. The results play rather heavily today, in part because all the other performers are deferring to Rogers; they're not reacting to what his character is doing so much as making sure that Rogers himself has finished speaking. Only the great Edgar Kennedy, playing a crony of Rogers' character in the States, prior to Rogers' character striking it rich and ill-advisedly letting his family bully him into a jaunt to Paris, gets any give-and-take going with Will. 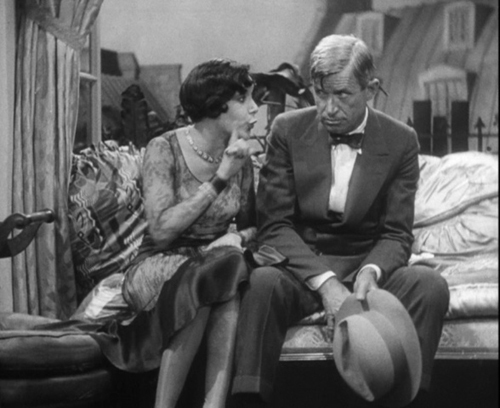 Rogers' Judge Priest, in the 1934 Ford film of the same name, helps unite Snow White—er, Ellie May Gillespie (Anita Louise) with nephew Jerome (Tom Brown), over the objections of Jerome's mother Caroline (Brenda Fowler). Borzage's picture was an immediate hit, and Rogers almost immediately essayed a similar character in another Innocents-Abroad-ish comedy called So This Is London. He reprised his actual Paris character in '32's Down To Earth, after reteaming with Borzage for Young As You Feel in 1931. All of the pictures treat a theme that's rather watered-down Twain, that is, American common sense meeting up with and defeating European stuffiness and/or frivolity. 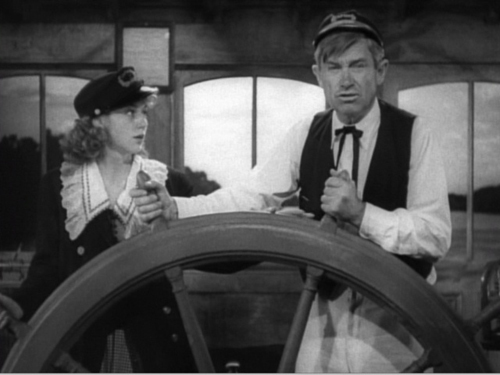 Rogers' work with director John Ford—Doctor Bull, Judge Priest, and Steamboat Round The Bend—winds up more artistically successful for several reasons. For one, the films avoid the rather specious cultural arguments of the fish-out-of-water pictures and stick to strictly American themes. And while Borzage's picture has Rogers playing an ordinary man caught up in extraordinary circumstances, two of the Ford pictures having him playing individual of some import—a crusading physician in Bull, and an idiosyncratic post-Reconstruction Kentucky jurist in Priest. He becomes a life-saving hero by default in Steamboat. In these pictures, there's always something bigger at stake than whether Rogers' personifications can pull their respective families out of whatever mess they've gotten into. Justice has to be served. It's in these pictures that Rogers and Ford turn the Rogers persona into something a bit more, mythic, setting the stage for Rogers' near-canonization after his premature real-life death, and for the larger-than-life heroes Ford would construct and deconstruct in his subsequent Westerns. Toutes les filles s'appelle Fifi: D'Orsay counsels Rogers' irritated American in Borzage's They Had To See Paris, 1930.